...then any value reviews might provide, for both the business world and the consumer, is lost. 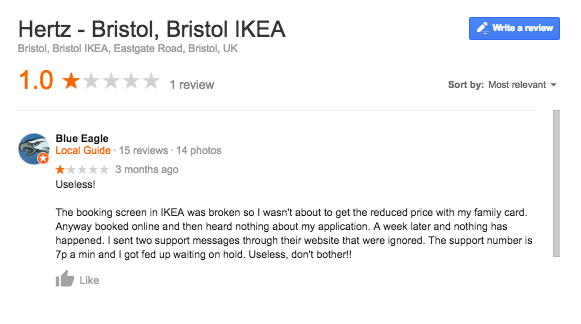 This week we stumbled upon a really appalling abuse of Google reviews. The company in question - and its name, for the moment, must remain unvoiced - has systematically set out to create a positive impression through the medium of Google reviews, using methods which might be best described as underhand and at worst plain illegal. 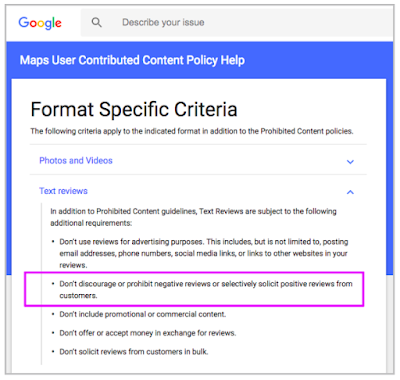 Now, this pattern is not unusual in itself (consumers have discovered Google reviews in a big way recently), but, when taken in the context of a detailed analysis of the positive reviews - almost all of them - there is grave cause for concern. The pattern of review writing, while not unheard of, is right at the extreme end of the 'credibility scale'; a business gets no Google reviews for four years, then two, then fifty - unusual, to say the least. The reviewers themselves stand out by their (lack of) activity. Look at any business with 50+ reviews on Google and you will most likely see a cross-section of reviewer 'types', from the singleton (someone who has only ever written one Google review) through those that have written a handful, all the way up to Google Local Guides, who have often written dozens, sometime hundreds. The most any of this business's reviewers have written is five. 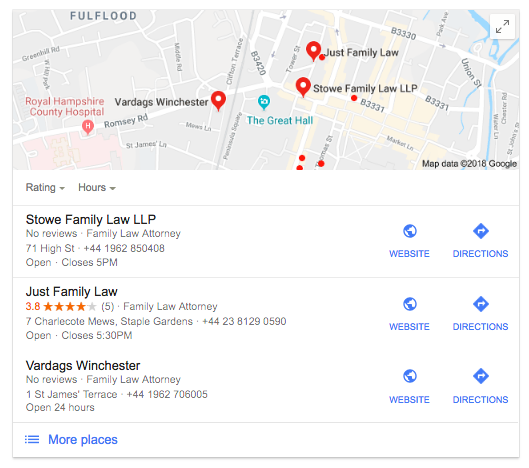 Where the business's reviewers have written multiple reviews to Google, these reviews were invariably written in the same immediate time period as the review of the business in question. The language used in many of the reviews has the same idiosyncratic use of English - the use of 'staff is' rather than the more conventional 'staff are' (as in 'their staff is great') is just one example. None of the [positive] reviewers have any other Google+ activity. Very unusual in such a large sample (for instance, none have posted single image to accompany any of their reviews). Almost all the reviews written by these reviewers of businesses other than the one in question exhibit very similar characteristics: they are 'one liners', they are extremely anodyne in their content ('the Ritz is a great hotel'), they are all positive (again, very unusual) and they never give any detail of the customer's experience of the business (in any sample of reviews you will normally see all the variables: long/short, well/badly written, good/bad grammar, and you will 'hear' different 'voices'. the reviewers' voices in this businesses positive reviews appear to be similar, if not identical). The business's responses to their positive reviews: are identical. This may be for all sorts of reasons (laziness, usually), but could also be an indication that the responder knows that they are not 'speaking' to a 'real' reviewer, and so need not bother to reference the content of the review. As the saying goes 'If it walks like a duck and quacks like a duck...' This business 'is a duck'. It has set out, perhaps aided by some outside agency (there are plenty) to bypass its own customers and simply concoct a great score and image on Google. This is wrong on so many counts, but mostly it is committing the crime of wilfully misleading potential customers, who increasingly rely on reviews, especially Google reviews, as a guide. Don't do it! 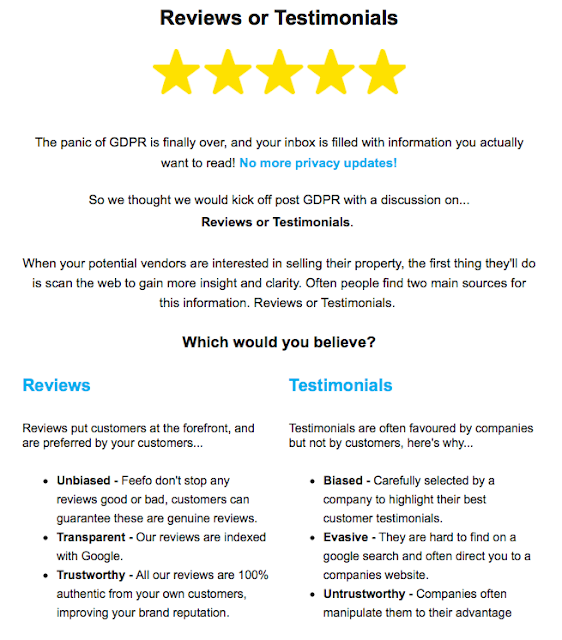 We sometimes hear pleas from businesses when we first meet: 'We were only protecting our reputation' in defence of all kinds of rule breaches (here's an exhaustive list) but the fact remains that the worst possible thing that can happen to any business in relation to reviews is to be found to be rigging their Google score by posting fraudulent reviews (the word 'fake' is simply not strong enough in this context). The Competition & Markets Authority is committed to stamping out this kind of practice - see their statement here, along with our commentary, but it should be just one concern of many. What happens when a member of staff leaves to join a competitor, and tells that competitor just how 'Business A' got to look so great? We are sure you get our drift. Lastly, if you run a good business (and it need not be perfect), proper professional review management should have you scoring at least 4.5 out of 5, on your own website and on Google (and anywhere else that matters - Facebook, for instance). There for all your potential customers to see - and, crucially, rely on. As regular readers will now, at HelpHound we like to coin a phrase ('resolution', 'deflection', 'review management' - we think we may even have invented 'moderation' in the sense that it relates to reviews), well here's another one to add to the list. 'Falling to Four' is what happens when a great, well-managed and consumer-engaged business becomes proactive in the reviews space. It means that no matter how hard the business tries to keep its score where it needs to be - as near to a perfect 5 as possible - its score, on Google or any other site will fall towards, and often past, the Google filter at 4.0. Because of human nature. When a business decides to become proactive with reviews (as all business should be) and therefore invites all its customers to post a review (as the rules state it must), roughly twenty per cent of those reviews will be negative - scoring the business one or two stars. The reason that so many reviews (remember we are discussing good businesses here) will be negative is simple: a dissatisfied customer is about fifteen times more likely to write a review than a satisfied one. Let's look at some numbers - and then some examples. Let's say the business - over a period - invites a thousand customers to write a review (all they do is send an email, no incentive, no follow-up). What do we think the response rate might be? About 3% perhaps? That's thirty reviews. But then we need to apply our multiplier ( x 15 remember?). If the business has managed to satisfy 97 out of 100 of its thousand customers that leaves a pool of 970 happy customers and 30 unhappy customers. To reduce the business's score from 5.0 (assuming their very first review scores them 5 stars) to 4.0 only six of those thirty need respond. And they will! ...and it's not 'cherry-picking' (selecting happy customers to write reviews - against the CMA regulations - see Point 4 here). ...by enabling the business and their customer to engage if the review contains any potentially inaccurate or misleading statements. No one benefits from inaccurate reviews - and we see them every day. When we first introduced Resolution™, some years ago now, we wondered how consumers/reviewers would react - the numbers continue to amaze us: over 95% of reviewers welcome the opportunity to address the issues Resolution™ brings to their attention - partly because, under the HelpHound system, they know that they always retain the right to have whatever review they wish published, even if it is at odds with the facts (remember, businesses have the right to respond). *We know of at least on reviews site that has a superficially similar mechanism, minus the invitation to post to Google, but when the review is finally published it is published as of the date it was originally written; this benefits the business in question because it can often result in the review being pushed down onto page two. HelpHound reviews are always posted to the date of final publication. Because of the way we consume reviews - first the headline score, then that score against competing businesses, then the number of reviews each business has - it is all too easy to lose sight of the power of the content of the individual review as a call to action. A 'rating' is effectively a review without content, more helpful to the business than to the consumer - because it has a positive impact on the business's overall Google score - but giving no added value for anyone looking for concrete reasons to use the business in question. Better than a simple rating ('super professional', 'always followed up', 'Highly recommend'), but more detail would help consumers reading this business's reviews. 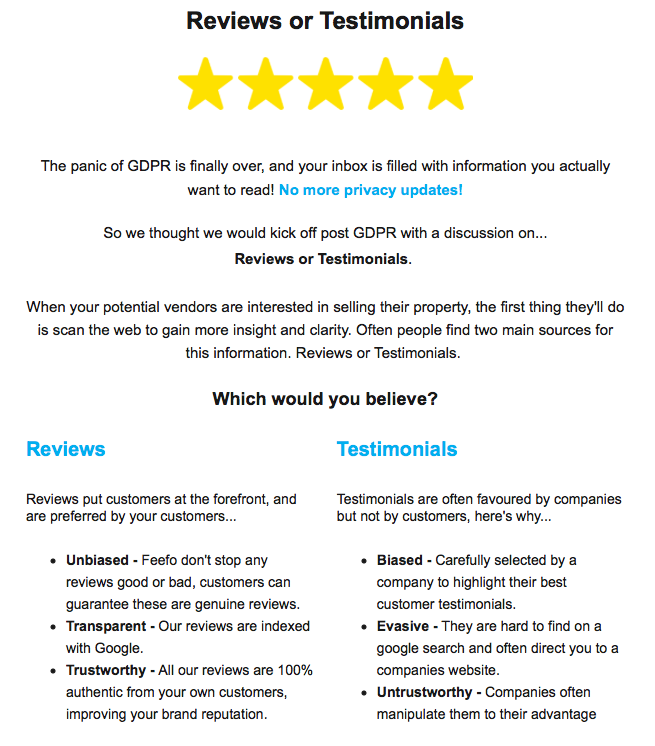 These reviews are the kind that drive business through the door (or email or website). Why? Because they give the consumer hard facts and concrete reasons to use the business. Words and phrases such as 'service has been top notch', 'totally professional', 'worked hard', 'friendly and communicative', 'went beyond anything' - all from someone who is obviously an experienced consumer in this area ('I've bought and sold a few houses over the years') and just from the first of these three reviews - provide a powerful incentive for the reader to take the next step - contacting the business. 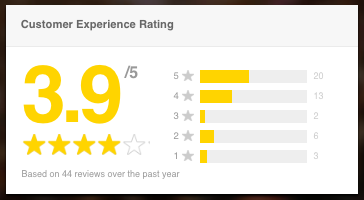 Why are reviews of HelpHound businesses - on average - more 'helpful'? 1. The businesses has built reviews into its whole consumer experience, from first contact: 'We will be asking you to write a review of our performance', through every step of their engagement with the customer (for example: the customer pays a verbal compliment - the staff member will say 'Please remember to mention that when you come to write your review') to the final request to post the review: 'These reviews are so important for us - do mention anything that would be helpful for someone in your situation reading your review'. 2. The management of the business know, and understand, why reviews are so important, and they have transmitted that to all their staff, both customer-facing and back office. 3. The customers understand why the business has engaged HelpHound - and respect its reasons for doing so (independence, moderation - for the benefit of both business and consumer - and so on). Our first response is simple: no business needs all its customers to write a review to Google. We go by the rule of 50% - that is: if you can get half your customers to write a review to you own website and then half of those to write one to Google, you will be doing very well indeed. That probably covers all those who don't/won't want to write a review. As for the 'Google account' issue - the latest figures indicated that over half of UK adults now have at least one kind of Google account, and that's all they need to be able to write a review without any tedious 'signing up' or registering. The proof is in the pudding: if you look at any Helphound client, conducting whatever kind of business, what do you see? Lots of Google reviews. Google ban Review Gating. Hooray! For years now we have sometimes been frustrated by our inability to convince some businesses that gaming Google was a bad idea. Read the 'Introduction' below and then we will go into some detail on 'Gating' and the other mechanisms both businesses - and some reviews sites - use to bend (more often break) the UK CMA rules and Google's terms of service to their advantage. Reviews exist for one purpose - and one purpose only - to assist consumers when it comes to making an informed choice as to which business or service to buy or use. and there are rules in place to enforce that, the UK CMA regulations (again!) and now Google have added anti-gating to their term of service. Why? And what were/are they doing? *while a score of 4 out of 5 may look alright, even good - at first glance - it will deflect customers from making contact with service businesses. Why? Because a business scoring that 4.0 with 100 reviews will have up to 20 one star reviews, and those will be read by prospective customers, and will put a significant number off taking the next step: contacting the business. Here's a typical local search - the kind most people seeking a business make every time. What have the three business's listed in the Google knowledge panel (the holy grail of SEO) done to say 'come to us, we're great at what we do'? Little or nothing - classic cases of 'Denial'. Denial was definitely the simplest solution - and was adopted, consciously or unconsciously, by many. It involves ignoring Google reviews altogether. 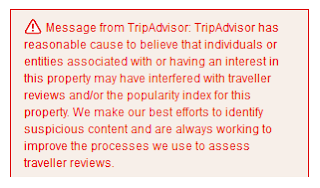 They just did not engage - and hoped that their customers would not write [negative] reviews to Google. Consequences: Initially - no Google reviews to encourage those searching for a 'consumer qualified' business to click through a search to that business. Ultimately - two things: first, the business's first review is highly likely to be a negative one (simply because human nature dictates that a dissatisfied customer has so much more motivation to write a review), starting their Google score at 1.0 out of 5, second: the business will increasingly stand out against its 'engaged' competitors, some of whom will be doing 2, 3 or 4 below. This (score and number of reviews) is, of itself, no proof of cherry-picking. But when you know the business and its staff, both current and previous, its competitors and ultimately the regulators (especially if a complaint is made) take an interest, and then combine this with the pattern of reviews, then there is cause for concern. This is the next obvious step on from denial (and by far the most popular - especially when the business has received a negative review and is in 'panic mode'): simply ask only proven 'happy' customers to write reviews. Consequences: Initially: the business looks great - of course it does. But this practice was outlawed by the UK Competitions and Markets Authority in 2015. Read their regulations - which apply to all UK businesses - here. Use an independent reviews site that offers some kind of filtering mechanism, either restricting consumers' ability to write a review: allowing the business to determine to whom and when the review invitation is sent/locking out anyone else or incorporating a mechanism that would lessen the impact of that negative review: allowing the business to challenge it and then insisting on 'proof of purchase' before publishing the review - forcing the [negative] reviews down the reviews timeline (who reads page 2?). Consequences: this drives disgruntled customers to post to a site that does allow them to post a negative review, a syndrome that we call 'Deflection' (a 'must read'). Which site? Maybe Yelp, maybe TripAdvisor (in the case of hospitality) but the overwhelming site of choice in 2018? Google. 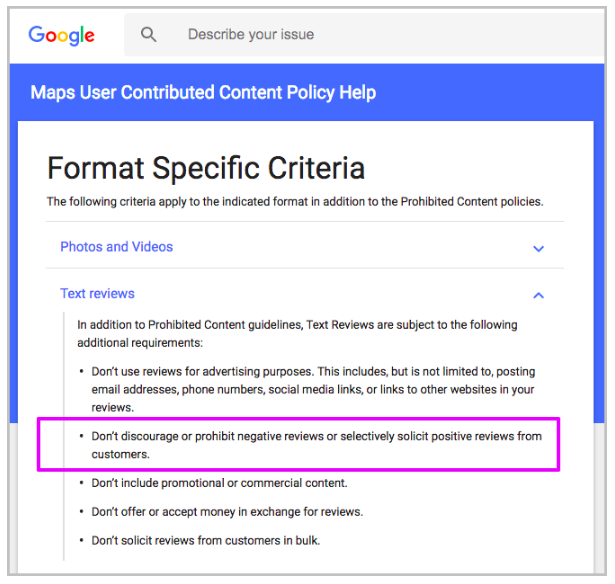 This results in the business looking good on the reviews site but much less good on Google - in other words, it is not only contravening the regulations, it is also backfiring on the business in the worst possible way. 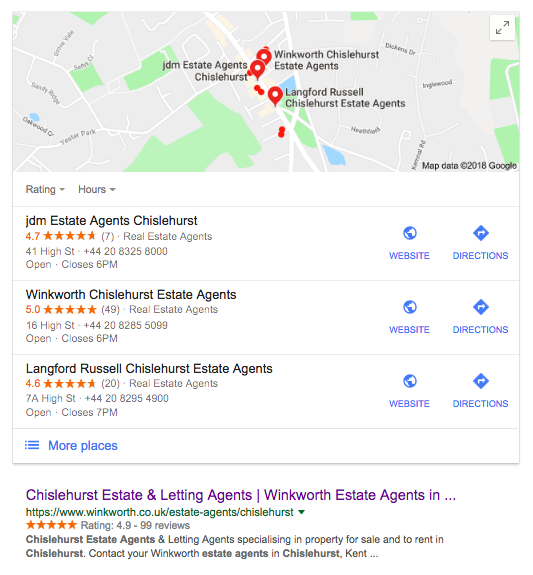 Put simply: use a mechanism to establish which of the businesses customers' were most likely to write a 5* review and then invite all of that subset to post a review to Google. Very common with apps, where good reviews scores are everything, and increasingly common with all other kinds of business. When a business has few reviews (with mixed results) on Google for an extended period, but many on another reviews site and then suddenly acquires a flood of great Google reviews, it raises suspicions of gating. We have obscured anything that could identify the business in question because that would be unfair, but it would be easy for the regulators to conduct an audit and equally easy for Google to spot if such behaviour had been happening. Consequences: until now - few. If a competitor noticed then they might use that against the business: 'Of course their Google rating is excellent - you do know they are only inviting happy customers to post reviews?' - and also a form of cherry-picking (see 2 above). Now: Google will delete the suspect reviews. 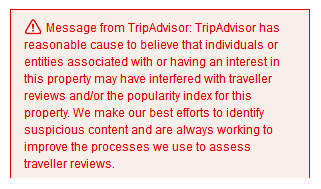 And we don't know yet what other sanctions Google will apply (TripAdvisor and Yelp 'red flag' businesses in similar circumstances) but it is possible that Google will deem that all the reviews of the business in question - and their vital reviews score - have been acquired by gating. On top of this, gating contravenes the CMA regulations, which are expressly written to ensure consumers get a full and fair impression of the business in question. We have a great deal of sympathy for businesses that have adopted one of the above means of protecting their reputations from what they, mostly quite justifiably, see as unwarranted or unfair attack on the most important platform on the web - Google, as long as they have done so in all innocence. ...online retailers (John Lewis here) that host 'their own' reviews. 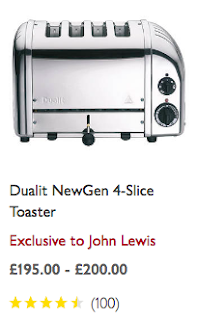 In reality, of course, these reviews are not 'of John Lewis', they are 'of the product', manufactured by someone else (and in reality they are hugely helpful for the retailer - as well as the consumer - which will simply drop any line that scores badly). 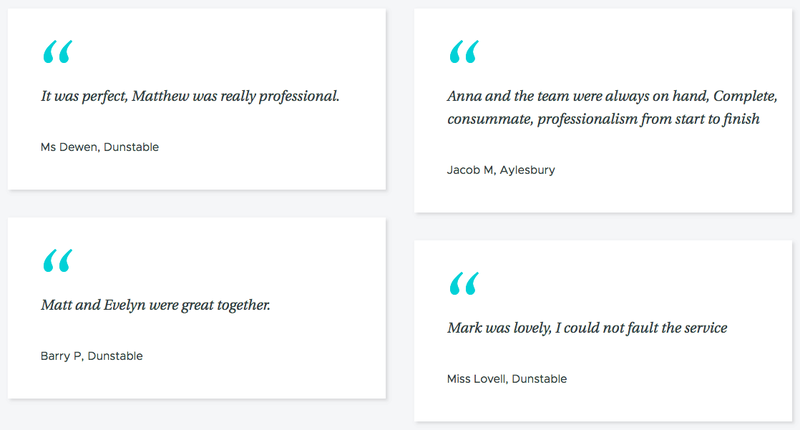 'Reviews or Testimonials'? - Go Google! ...so let's analyse its content. 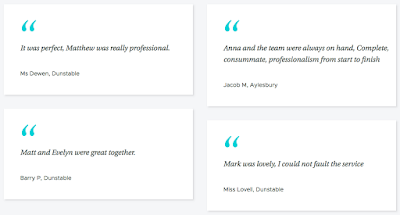 We have no argument at all with this - testimonials, in the 'Mrs P from Hertford' form so often seen, are so 'last century', and we think most businesses are on board with the contention that reviews are the way ahead these days. 'Unbiased': Google 'don't stop any reviews, good or bad'. It could be argued that the odd 'fake' review appears on Google, but these are very rare indeed (remember that a Google account is needed to write a review, and that Google are 'watching' every move the fake reviewer is making on the web). On the other hand one could argue that reviews sites incorporate mechanisms that favour their business customers - try writing a review on one of this site's businesses (and be sure to let us know if you succeed)*. 'Transparent': We are unsure as the meaning of this in the context of 'Our reviews are indexed with Google, but does it matter? Get Google reviews and they sure as eggs will be 'indexed with Google' then! 'Trustworthy': We won't take issue with 'all our reviews are 100% authentic' until we mine deeper and ask questions like 'was every customer asked to write a review?' 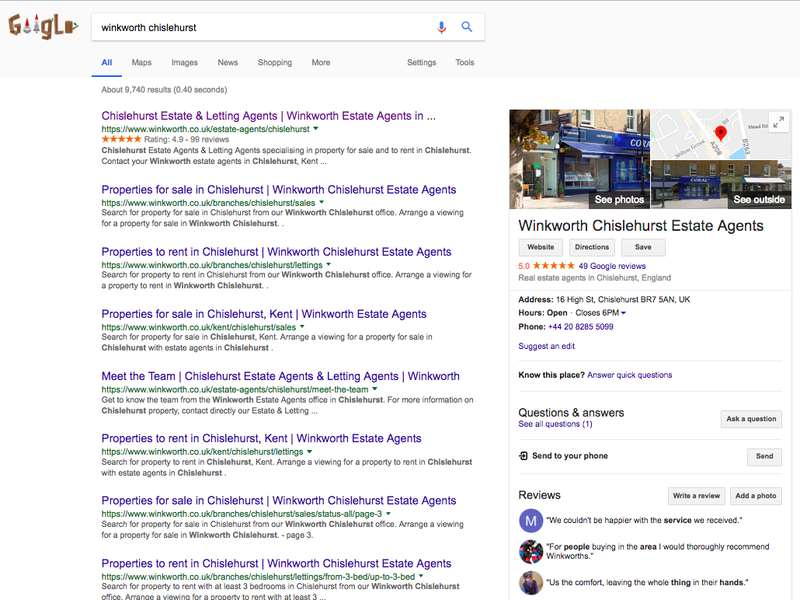 (we are sure they are for online retail, but have doubts when it comes to some service businesses - does every estate agent, for instance, invite every single tenant to write a review when they check out of a property? Can such a customer write a review if they want to?**). Even for online retail - can a customer write a review a year post-purchase, when they will be able to make an informed comment about the longevity of the product they purchased? *this - being unable to write a review when a consumer wants to - is a major cause of something we call 'deflection' (essential reading) where a business ends up looking great on an all-but-invisible reviews site and much less attractive where it matters: on Google. **the answer, for those interested, is 'No'. This may be seen as some businesses as a 'benefit' - those businesses would do well to consult the CMA's regulations. Go Google! - and Go HelpHound! Back to the title of this article: our message is loud and clear - get Google reviews. if you are a service business or a professional service you, and your reviewers, will need moderation. Buying a pair of shoes? A Google score of 4 out of 5 won't put you off. Searching for an oncologist? You would want the highest score - and the most accurate reviews - possible. HelpHound's moderation enables both business and reviewer ensure that the reviews ultimately posted are as accurate as they possibly can be. ...which would be fine if the reviews were accurate, but we suspect many are not, and would have benefitted - business, reviewer and consumer (reader) alike - from our moderation. unedited - today's search results - check for yourself!